Voice Cash Pro is the latest make money from home program that claims you can make almost $10,000 a week working only 30 minutes a day by using your voice! Sounds too good to be true, right? Well, just like so many others, this program doesn’t live up to its promises, and the likelihood of many people losing money is just as good a possibility as them making any. Read my full Voice Cash Pro review below to see why you need to know what you’re getting into before starting your voice over career. What Does Voice Cash Pro Offer? Voice Cash Pro is a program that teaches you how to start a career doing voice over work. It was created by a woman named Monica White, and the cost is a one-time fee of $37. You can access the program at VoiceProfitSystem.com. If a program is legitimate, they don’t need to provide false testimonials. People who buy their program will make money as claimed because their system has value and works. The Voice Cash Pro system is basically supposed to provide you everything you need in order to make huge amounts of money by doing voiceovers. You only need your laptop or mobile phone to make up to $1000 a day! Throwing around big numbers is the way that every low quality or scam program markets their system. You are supposed to be so dazzled by the money they claim you can make, that you won’t look too close at the fact that it looks too good to be true. If you’re a regular reader of my reviews here at Build Your Early Retirement, you know that it takes time and hard work to make money online. Claims of outrageous earnings that are fast and easy are simply going to be false. Do you think that someone is going to sell a system that can make you over a half million dollars in earnings for $37? It doesn’t work that way. In order to fully evaluate the Voice Cash Pro system, I purchased it and went over all the materials. Below I’ll detail what the program consists of. ~ Automated Voiceover Success–This is a report that tells you about using Audacity and NaturalReaders.com to record scripts without you having to use your own voice. ~ Important Tips Before You Start Voiceover–Here you get a list of 9 basic terms and conditions that you should consider when starting voiceovers. This list is indeed very basic, and unfortunately, doesn’t contain much information that you can take action on. An example is that you are supposed to find out what your voiceover will be used for and where it will be heard. Then you use that information to help determine the price you charge. So if it’s a regional commercial vs a narration for a YouTube video, how do you use this information to charge your clients? ~ Essential Voiceover Tools To Get Started–This guide shows you what tools you will need to do your voiceover work. However, according to the sales video, the only items I needed to do this were my laptop or mobile phone! While some of the various tools are inexpensive, the fact is that you will need to put out some cash for essential items that were not disclosed before buying the system. Some of the equipment, such as a microphone and studio headphones, can be very pricey to get the quality results that any client will be looking for. ~ The Best Social Media Voiceover Gigs–This guide shows you how to use social media and search engines to find voiceover gigs. But again, this is an overview that gives general information that inexperienced people would have problems following and getting results. You’re told to reach out to people and start building a relationship with them. You are to follow people, like them, and comment on their blogs. Then you email them when the time is right, but you can’t come off spammy. If you’re not experienced at marketing yourself on social media, this guide won’t teach you enough to do it. If you are experienced with marketing on social media, you don’t need Voice Cash Pro’s guide because it is too general. ~ The Best Website For Voiceover Gigs–Here you’ll find a list of places where you can find voiceover gigs, but most of them are programs that you have to pay to join! There are a couple, like Fiverr or Upwork, where you post your services and they take a fee whenever you get a gig. There’s no guarantee that you’ll get work from any of these sites, and here are more undisclosed costs that you’ll need to pay to try to be successful. ~ Negotiate The Highest Voiceover Rate–This guide is negotiating tips for what you’ll charge you clients. But they don’t mean anything if you don’t know enough to understand what you’re even charging for! Nothing in this guide will do a beginner any good without the experience to understand what you’re actually negotiating. ~ An Audio File That Would Not Play–This audio file would not play for me, and I got a message that it was a corrupt file. I had seen enough of the other materials to know what the program covered. So I don’t believe this audio file would’ve contained any information to change my rating in this review. None of the information in Voice Cash Pro actually taught you how to do voiceover work! Even if you were to follow all the instructions and get a voiceover job. How would you know how to actually perform the voiceover, edit it, and get it packaged and sent to your client? ~ Voice Profits Insider, selling for $47–This upgrade is supposed to be a copy and paste system that is faster and easier. It has all the tools, software, and templates to start making thousands of dollars. In fact, they claim that “you will see big fat cheques rolling in real fast”. Voice Profits Insider claims to be a program that will find you the best types of clients and niches to sell your voice services to. You are supposed to be able to grow your revenue up to 7 figures! Since the original program was not the kind of quality that would enable you to earn the income claimed, I did not purchase this upsell. When you decline the offer, you are given the chance to get a discount and pay only $24 for Voice Profits Insider. Does it make sense that they want you to buy a system that could legitimately make you up to $1,000,000 so badly that they’re willing to sell it for just $24–almost begging you to buy it? No, and I declined again. Profit Genesis–This is a low quality MMO program that is not recommended. I reviewed the 2nd version, Profit Genesis 2.0, in September, and it received a Build Your Early Retirement rating of 1 out of 5. Super Charged Productivity–This is a system that you can buy and then turn around to sell under your own name as your own system. The Growth Mindset–This is a series of books that deal with your mindset to help you be successful. Power of Execution Checklist–I didn’t find out much about this system, but considering the other items that are offered, I don’t feel it would have any value for those purchasing the Voice Cash Pro system. I didn’t see any value in these offerings for the $97 price, so I declined. ~ Outrageous Earnings Claims–Making up to $10,000 a week after 30 days working only 30 minutes a day? Totally exaggerated and not realistic, you won’t be making this money with the system that I bought. ~ False Testimonials–The testimonials that they presented in the sales video for both the basic program and the upsell were paid spokespersons that have been featured in other MMO systems that I strongly do not recommend! Legitimate programs would be able to provide real testimonials if people were making money with their system. ~ Poor Quality Materials and Instructions–The materials that came with my system were very general and were an overview of how to start a voiceover business. The instructions would not give someone the ability to implement them successfully without having experience. ~ Undisclosed Costs–There are many significant undisclosed costs with Voice Cash Pro, including equipment, software, and subscriptions to agencies that are supposed to have voiceover work. ~ No Instruction On Actual Voiceover Work–Even if you got a voiceover gig, how do you actually do a voiceover? It’s all well and good to do all the marketing and get yourself a voiceover job, but how do you do it? The information is just not there for someone to successfully handle the job. Here at Build Your Early Retirement, we give Voice Cash Pro a rating of 1 out of 5, and strongly recommend that you do not buy this program. I believe that there are way too many red flags, and you stand more of a chance of losing money than you do of making any. 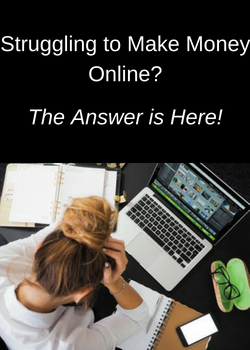 You need a legitimate program in order to make money online, one that provides real value and tells you the truth–it will take time and hard work to be successful. I recommend that you check out my #1 rated program and see what they offer with their free starter program–no credit card required! 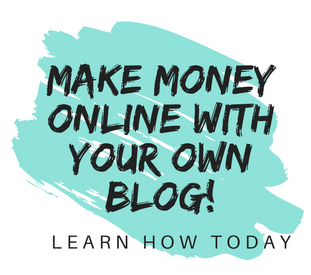 You can create 2 websites, get help from an entire community of online marketers, and get the first 10 training tutorials. Do you have any experience with Voice Cash Pro or another make-money-online program? I’d love to have you share it or any questions in the comment section below! Sometimes I just can’t believe what people claim you can make online! $9,800 a week for 30 minutes a day? Yeah sure, that’s realistic. I have seen so many of these scams that I cannot believe that someone who is claiming this actually thinks people will believe that.Paid spokes people from fiverr? Yeah, that makes sense. What some people won’t stoop to in order to screw the public!The only program that never made false claims is Wealthy Affiliate. There is never any unrealistic claims made or phony testimonials and that’s because they don’t have to.Wealthy Affiliate can and will back up any claims they make because they are 100% legitimate!Voice cash pro? Nothing but a farce! You are so right! A legitimate company doesn’t need to make outrageous claims in order to get people to join their membership, and Wealthy Affiliate definitely proves that. I actually came across Voice Cash Pro when I was searching for making money online programs and I was a little curious about it with their ad and all, but I also briefly saw there were some negative reviews. After reading your review of Voice Over, I will definitely stay away from it. Why must programs like this mislead people? Paid actors giving fake testimonials, and promises of thousands of dollars with just 30 minutes of work. Then they lie when they say all you need is a smartphone and laptop and come to find out you need much more then that. I will stay clear away from them. Do they offer a money back guarantee at all? Voice Cash Pro is sold through Clickbank, so there is a 60 day money back guarantee. I will definitely be requesting a refund after seeing the information given with this program! These types of programs are all over the place. I was happy to see your recommendation for the Wealthy Affiliate platform because I am a member, and I can tell you it is wonderful and totally legitimate. It trains you completely on every aspect of affiliate marketing, and you get free websites to boot! I’m so glad I check these other programs out before I buy, and I’m glad you provided an honest review. Thanks! You’re welcome! The smartest thing anyone can do is to do research before buying any MMO program. Wealthy Affiliate knows that so many people have been burned by get-rich-quick schemes. That’s why they offer a free starter membership where you can see all the program features without even putting down a credit card. Anyone wanting to make money online should check it out! This is a great review of another scam system. I honestly don’t believe a lot of people even know what the term “Voiceover” means. Personally, I know how to do voiceover work. I do a lot of things very well, but there’s a factor that a business training kit and even this review don’t address. My voice is not appealing or interesting enough for me to make any money at it. Also, reading copy can be difficult do do while sounding like you’re talking naturally or convincingly…especially if you don’t believe what you’re being paid to say. Chasing voiceover work fell naturally for me as I had been a dance club DJ and a karaoke DJ. I was trying to figure out how to earn income during the day. So fortunately, there were only a few small purchases that I made to be more effective and didn’t lose a lot of money on equipment. Reviews like yours further confirm my decision not to do a program like this and I hope that your review exposes these scammers to the masses! I would think ther would be something illegal about selling training for something where you don’t even provide that training. I bet they get sued a lot! Thank you for taking the time to give an opinion as someone who’s done voiceover work before. It confirms my view that this program is one to stay away from! Much obliged to you for sharing us such a decent blog. That is truly required for the general population who need to profit on the web. I simply awed when I appear, If a program is genuine, they don’t have to give false tributes. Individuals who purchase their program will make cash as guaranteed in light of the fact that their framework has esteem and works. You’re right, if a program makes the money they claim, they wouldn’t have to use paid spokespeople to give false testimonials. It’s always a big red flag for me! Janelle – thank you so much for providing this very real and thorough review of Voice Cash Pro. I actually have not heard of this, but I am sure the are so many “programs” popping up all the time, every day. I suppose this Voice Cash Pro would sound really good to someone who wanted to go into this profession. I think it was very clever for you to show that the testimonials are paid actors from Fiverr. I have seen some of these paid actors doing promotions for other companies. That’s a huge turn off for me when a company have to hire paid actors with false testimonials I think that is just plain wrong. Use real testimonials. Makes you really wonder if they have to pay actors to provide fake testimonials, makes you wonder the true validity of the program. Very grateful for you who spent time to dig into the program and will save lots of people from falling into this trap. Thank you so much, and I’m glad you found it helpful! I’m equally stunned and impressed. I’m stunned that a company would have the audacity (no pun intended) to hire fake people to provide testimonies. I’m equally impressed that you were able to do research and discover this. I can’t believe lying to the public like this is legal. Is anyone filing criminal complaints against them? Unfortunately, by the time there’s enough complaints about a site like this, it’s usually been shut down. Then many of these programs are just repackaged and renamed and sold as the next best thing on another website. The best thing people can do to protect themselves is research and read reviews to get a better idea of what’s really being sold.
. The name voice cash pro sounds really dodgy. It is very clear from the review that there are some good points, but not enough to overcome DCS’s shortcomings. There are certainly better programs out there for making money online. i can never recommend voice cash pro to anyone because its cons outweighs its pros. Making huge amounts of money working only a few minutes a day is the theme of almost every online scam out there. Staying away from any program that tries to tell you that would be the biggest help in not getting taken in by scammers. Thank you for stopping by! You are definitely right, newbies are always the targets for programs like this. The creators count on the fact that someone with no experience will just see the big income claims and buy the system hoping to get rich fast and easy. Those with experience know that it just doesn’t work that way, and the only ones who usually make money are the creator and promoters! I really enjoy reading this article about Voice Cash pro, and I like it , it’s very informative, I have tries many ways in trying to make money online, But this one seems it’s legit, and I would like to give it a shot and see if it’s working. I encourage you to read my full review and see the red flags that I’ve listed. You can certainly try it if you’d like, but I don’t recommend it and give it our lowest rating! Oh my gosh, I can’t believe there are people out there that continually insult our intelligence. Sorry for the outburst. Wow, you did a lot of work to uncover this fraudulent behavior. It is thanks to people like you that make it easier to uncover the truth. It is a challenge to find the right platform to join in the effort to find a way to make a living online. As I continue to look through your site, I am confident that I will be able to find a few promising leads. Where do you suggest I should begin? The best place you can begin is checking out my #1 rated program. It’s designed for beginners and will teach you everything you need to know about making money online with affiliate marketing. For all of the details, here is my full review–good luck and let me know if I can help you any further! Thank you for the reply, and answering my question. I will check out the article you have suggested in the link you provided to help get me started. I will let you know if I have any more questions after reading the article.